Address: Major, 1, Ordino, Andorra. 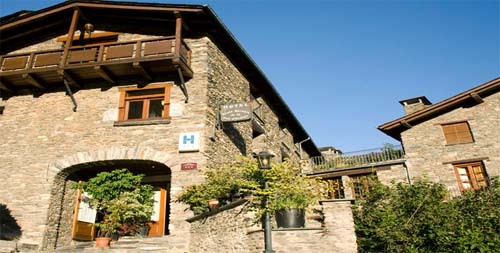 Hotel Santa Bàrbara De La Vall D'Ordino is set in the village of Ordino, 4 km from Pal Arinsal Ski Resort. This rustic hotel features a restaurant and rooms with mountain views. The Santa Bàrbara has traditional décor and its rooms are bright and comfortable. Each has satellite TV and wooden furniture and flooring. The hotel’s restaurant serves a daily breakfast and guests can enjoy a drink in the on-site bar, where there is free Wi-Fi access. Other facilities at the Bàrbara include ski storage. Hotel Santa Bàrbara has a quiet, rural setting and local activities include walking, hiking and horse riding.The hotel is ideally situated for skiing and is just 9 km from the Ordino-Alcalís Ski Resort and 30 minutes’ drive from Soldeu. Guests are kindly requested to contact the property upon arrival for instructions on how to reach the hotel. Contact details can be found on the booking confirmation.